Many people like to get a book with devotional readings for the entire year. If you are shopping for an annual devotional book, the two classic, all-time best, in my opinion, are Experiencing God Day-by-Day, by Henry T. Blackaby and Richard Blackaby, and My Utmost for His Highest, by Oswald Chambers (I recommend spending a little extra to get the updated edition of Chambers, because his work was originally written in 1917, and the language of the original can be difficult to follow.) Both of these devotionals are strongly rooted in the scripture, with penetrating insights that will drive you to deeper prayer and faithfulness. Another excellent classic, Morning and Evening, by Charles Spurgeon, provides readings for morning and evening every day. A Year with C.S. Lewis provides great selections from Lewis’s writings for every day of the year. The Songs of Jesus, by Timothy Keller, has a year of brief, Christ-centered daily devotionals through the Psalms. The prayers Keller offers are particularly inspiring. Keller has also published a new devotional on the Proverbs, God’s Wisdom for Navigating Life. All of the above devotionals will cause you to think deeply and inspire you. Jesus Calling by Sarah Young is an extremely popular devotional that uses the literary device of speaking to the reader as if it is the words of Jesus Himself. The devotionals in Jesus Calling are brief but quite encouraging, especially to those who need to find peace in their lives. However, the devotional has been criticized because the author claims she received the messages directly from Jesus, and some authors have pointed out minor errors in her book that prove not all messages were directly from God. (For more on this controversy, check the excellent book review by Tim Challies here.) Despite these criticisms, I think her devotional is very helpful, and to her credit, Young includes scripture references at the end of each devotional. Young also has published spin-off devotionals that are similar, such as Dear Jesus. Daily Guideposts, published annually by Guideposts magazine, include many inspiring stories by a different author every day, and while they are well-written, they lack as much substance as the other devotionals mentioned above. Voices of the Faithful, edited by Beth Moore, has devotional stories by missionaries. If you are looking for a devotional for married couples, Our Love Is Here to Stay: A Daily Devotional for Couples, by Tony and Lois Evans, is the best one I have read on the subject. It is well-written, interesting, and full of practical wisdom. Alberts, William E. A Hospital Chaplain at the Crossroads of Humanity, 2012. 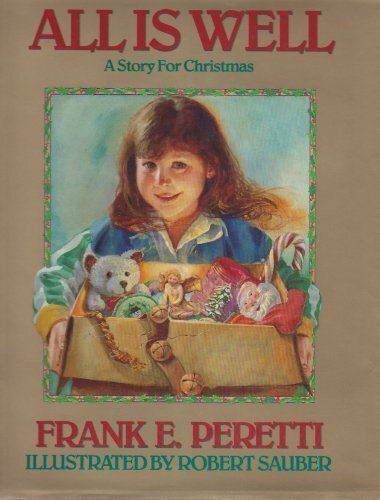 This short, easy-to-read book is a series of 54 diverse vignettes that Rev. Alberts shares about people to whom he ministered as a board-certified, CPSP hospital chaplain at Boston Medical Center. He has a loving and accepting approach to all of his patients, and he models some excellent approaches and conversations to the “crossroads of humanity” who need medical care. Health care chaplains and all those who minister to the sick will relate to many stories and can learn much from his compassion and wisdom. However, those like myself who have a conservative, deeply held personal faith will likely be distracted and even annoyed that Rev. Alberts favors those who believe that all roads lead to God, which he spells with the small “g.” He emphasizes his theological position as a Unitarian and United Methodist (more Unitarian than Methodist), and stresses his distaste for conservative politics, especially military spending. Thus it seems odd to me, as a less experienced hospital chaplain myself, that he repeatedly tells how he begins a visit by asking a person’s religious affiliation. He frequently reports that people are defensive or confused by this question, yet he continues to ask it. He even reported that patients occasionally responded with apologies for not attending church, thus showing that the question put them on the spot. Since he seems sincerely focused on serving the needs of all patients, why not just ask the patient what is happening in their lives, and let them talk about their religious affiliation if they want to do so? The Kindle edition has a few minor errors where lines are repeated or words are missing, such as page 138. A House Put in Order, by J. Brian Broome, is an entertaining paranormal novel of a prison chaplain who must deal with the disaster in his prison just before Halloween, when a Wiccan inmate summons an evil spirit to get revenge on the deputy warden. After setting up characters and building the plot early in the book, the plot picks up pace and rushes straight to a ending that will keep you reading. Some might say the plot is a bit predictable toward the end, or at least it goes the way the reader would hope, although not entirely; you will certainly want to keep reading to find out how it ends. This book would make a great summer read, and a fantastic read around Halloween. The Shack is a motion picture being released on March 3, 2017. It has a Christian message, yet some Christians are calling the movie heresy. What’s going on? The movie is based on the bestseller of the same name by William Paul Young. (This is a review of the book. You can read my review of the movie by clicking here.) It is a deeply emotional story about why God allows suffering. The main character, Mack, gets a note from God, asking him to return to the shack where his young daughter had been murdered. Mack goes, and finds answers to his questions and doubts about God’s goodness. Sounds inspiring, doesn’t it? Then why the controversy? Many people are bothered by the portrayal of the Trinity in the book. God the Father appears as a black woman who goes by the name “Papa,” Jesus appears as a Middle Eastern man, and the Holy Spirit appears as an Asian woman named Sarayu (Sanskrit for “wind”) whom you can see through. Although they appear as three persons, they are shown as completely one, as they answer Mack in unison from time to time, and whenever he has a conversation with one of them, they always continue the conversations he had with the others. “Papa” reminds Mack that God is spirit, and since Mack had a poor relationship with his own father, he chose to reveal himself to Mack as a woman to get around his resistance. In fact, (spoiler warning: don’t read this next statement if you don’t want to know too much about the novel’s plot…) at the end of the book, after Mack is reconciled to his own father, “Papa” appears to Mack as a man. Some people will be put off by a few uses of profanity in the book in the dialogue. There is one use of S.O.B., and a few other milder profanities spoken mostly in passages where the speaker is angry. Perhaps this is universalism, or perhaps it means that Jesus is the only way, but He will do what it takes to reach us. The only thing that is clear is that it is left unclear. The book does a beautiful job of showing that following Jesus is more a matter of relationship than religion. It illustrates how suffering cannot be understood because we cannot understand all of God’s purposes, thus we simply must trust God. (Spoiler warning: skip this paragraph if you don’t want to know too much of the plot…) Perhaps the most powerful part of the book is when Mack is asked to “play God” and decide which three of his children will go to hell and which two will go to heaven. Mack’s reaction to this awful choice helps him see how God works through suffering. This is a review of The Shack, the book. The movie has several differences, so see my follow-up review of the actual film by clicking here. The movie has no profanity, and has fewer implications of universal salvation, as some of the above conversations that imply universalism are not in the film. Also, the depiction of God the Father as a woman is explained earlier and more clearly in the film. Whatever your opinion about the depiction of the Trinity and other controversial elements in the book, it is an inspiring message of how God works through suffering that reminds us how we ultimately find hope not in the shack, but in the cross. Thus begins What Comes with the Dust: Goes with the Wind, Gharbi Mustafa’s gripping novel about women who survive the abuses of the Islamic State. I have read Gharbi Mustafa’s first novel, When Mountains Weep, which is the story of a Kurdish boy coming of age when Iraqi dictator Saddam Hussein tried to exterminate the Kurds. I knew Mustafa was as excellent novelist, so I was looking forward to this second novel about the suffering of Yazidi Kurds under ISIS. I was totally blown away by this new book. Mustafa’s first book was very good; this book is great. What Comes with the Dust: Goes with the Wind is a long title, which comes from the Yazidi religious legends that are explained in the book. It is a story about two Yazidi women, Nazo and Soz, and their struggle to survive. Nazo must escape slavery from ISIS to reach her forbidden lover. Soz is a female soldier who fights ISIS but also struggles with a secret love. Their fates are intertwined in a heart-wrenching story taken directly from the events we see on the daily news. In 2014, the world watched in horror as Kurdish helicopters dropped relief supplies and tried to rescue thousands of Yazidis on Shingal Mountain in Iraqi Kurdistan, trapped there by ISIS. Since then, the United Nations has recognized the Yazidis re the targets of genocide by the Islamic State. Who are these Yazidis? Why are the Kurds so eager to rescue them? Why is ISIS so eager to destroy them? This novel answers these questions, even though it is a work of fiction. In story form, the novel unravels the mysteries of the Middle East to western readers. Along the way, Mustafa shows us the mysterious religion and culture of the Yazidis, and contrasts these peaceful people with the fanatical cruelty of ISIS. Rich in culture and characters, and jarring in its account of jihadist brutality, it is a story that keeps the reader turning the pages to the end. I simply could not put it down until I finished. Gharbi Mustafa is uniquely qualified to write this story. A Kurd himself, Mustafa is professor of English at the University of Dohuk in the Kurdish region of northern Iraq. He has personally interviewed Yazidi women who escaped ISIS, and knows the culture like few writers in the English language. As a novelist, he writes in a way that is at once deeply moving and enlightening. It is well worth the two hours and 200 pages. Snoop: A Spiritual Memoir of a Vietnam Army Grunt (Published by Parables, 2016), by C. Wayne Harrison, is a 98-page book that tells stories of war, grouped together for devotional reflection. That may sound like an unusual approach, but Harrison makes it work. Harrison was a private in the U.S. Army, who fought in the jungles in the Vietnam War in 1969-1970. Today he is Baptist minister in Booneville, Mississippi. In ten short chapters, he recalls his desire to be a soldier and relates in vivid detail the horrors he experienced in the war. Although the stories tend to move chronologically from early in his life through his year in Vietnam, the chapters are more thematic in nature, with titles such as, “The Heart of a Soldier,” “The Hands of a Soldier,” “The Hardships of a Soldier,” etc. Each chapter opens with a passage from the Bible, then focuses on stories that relate to the theme of the chapter, followed by some discussion questions and a prayer. The reader identifies with the young man, who is nicknamed “Snoop” because of his lapel pin of Snoopy, the dog who imagined he was a fighter pilot, in the “Peanuts” comic strip. Some descriptions of war in the book may be disturbing to young readers, and the stories certainly are sobering even to mature readers. I believe Harrison’s writing will connect well with soldiers who read the book, and would make an excellent resource for military chaplains or anybody, especially soldiers, who are willing to reflect on God’s purpose for their lives. The book is well-written, using excellent images and descriptions, and is easy to read, although I noticed a typo on p. 64, where the word “scar” was spelled “scare.” There are black-and-white photos of Harrison as a young soldier in the back of the book. In interest of full disclosure, I received a complimentary copy of this book from the author, with no obligation to write a favorable review. 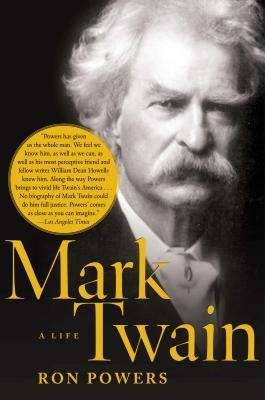 I just finished reading Mark Twain: A Life, by Pulitzer-prize winning biographer, Ron Powers (Free Press, 2006). This is an in-depth biography of the famous writer and humorist Samuel Clemens, better known by his pen name, Mark Twain. At times, it seems too detailed, as it covers more than I wanted to know. Nevertheless, Powers does an excellent job of helping the reader understand the complexities of the man, and he also helps the reader understand American culture during the 19th century, as the two are so closely intertwined. This is a biography, not a literary critique, so Powers does not put heavy emphasis on analyzing Twain’s writing, although he does give a balanced discussion of how literary critics have judged his works, with special attention to his greatest work, Huckleberry Finn. If you love Mark Twain and American history, and you don’t mind reading a long book, you will enjoy this biography. If you don’t want to wade through 736 pages to learn about Twain’s life, or if you are more interested in a literary analysis of his writings than the story of his life, you may want to read a different biography. 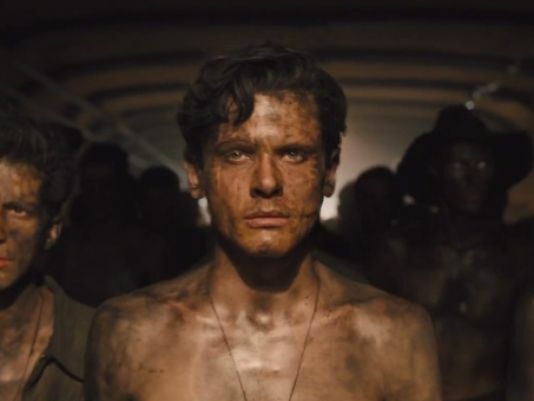 I loved Laura Hillenbrand’s bestselling book, Unbroken, about the amazing life of Louie Zamperini, so I was excited to hear that a movie version was being made. However, I was concerned when I heard reports that director Angelina Jolie had cut out the story of Zamperini’s Christian conversion. The life of Louie Zamperini was made up of three inspiring stories of redemption: athlete, war hero, and Christian servant. Any one of these stories would make an great book or movie. The first story is how he was changed from a troubled boy into an Olympic runner through the inspiration of his big brother. The second story is how he survived air battles with the Japanese, a crash and 45 days afloat in the Pacific Ocean, and horrible torture in a Japanese P.O.W. camp through his personal determination. The third story is how he was saved from alcoholism, post-war trauma, a broken marriage, and bitterness toward the Japanese when he accepted Jesus Christ as his Lord and Savior at the Los Angeles evangelistic crusade in 1949 that made Billy Graham a world-famous preacher. The book tells all three of these stories; the movie tells the first two. When I went to see the movie, I knew the conversion story would not be told, so I went with low expectations. I was pleasantly surprised to see that the movie did include the same foreshadowing of his spiritual conversion that is found in the book: the Christian message he heard growing up in an Italian Catholic home with a praying mother, and the promise he made to God when adrift in the ocean that if God would save him, he would serve Him the rest of his life. The movie ends with his homecoming after the war, but the text on the screen briefly tells the viewer that Zamperini “made good” on his promise to serve God, and that he returned to Japan to forgive his captors.